Man Climbing Ice in Winter. 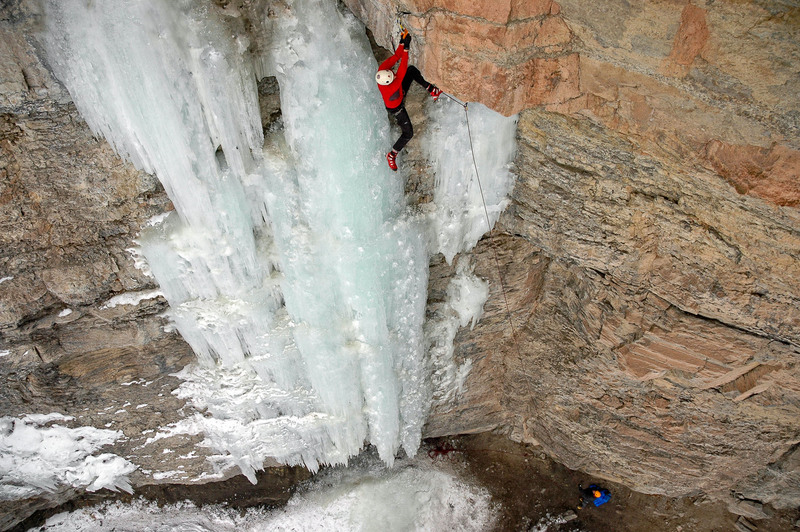 Extreme ice climber leading on steep pitch. Athlete: Chris Alstrin Loc. East Vail, Colorado USA.